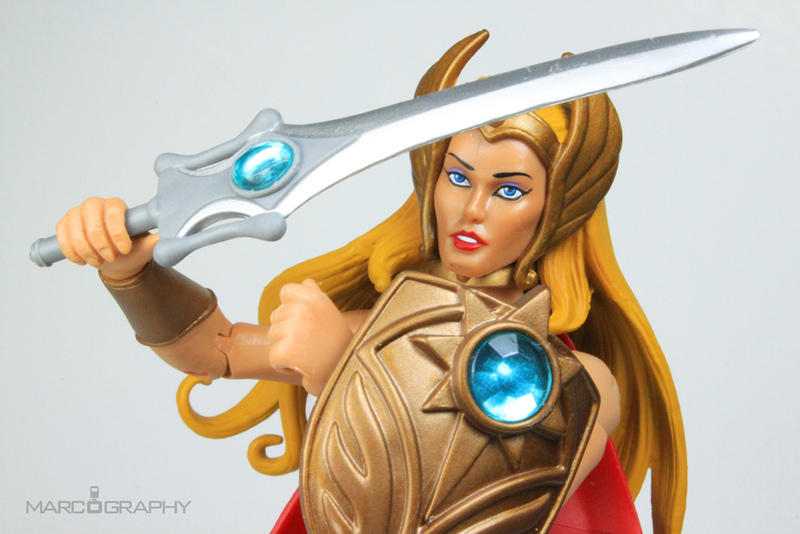 Channeling the combined Power of the Universe and the Wisdom of the Elders of Eternia, Adora transforms into She-Ra, the most powerful woman in the Universe. 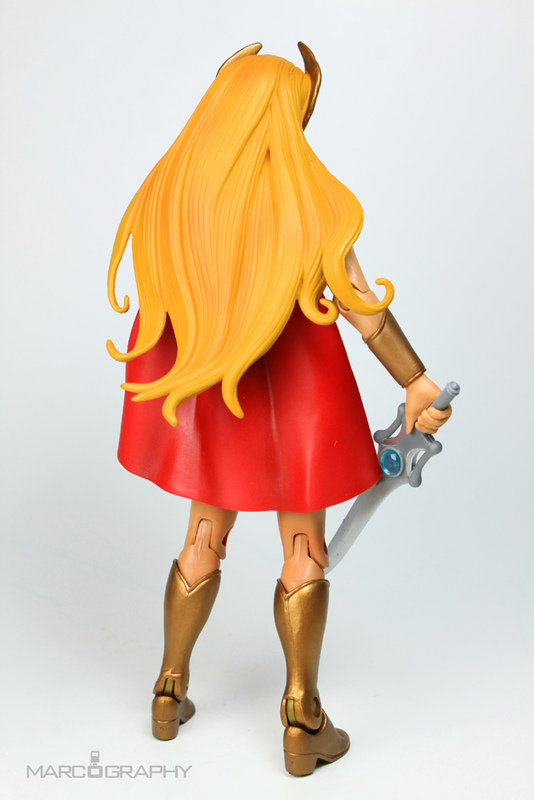 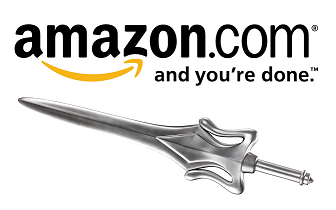 Her strength comes not from brute force but from sheer will and her cunning magical powers and healing abilities. 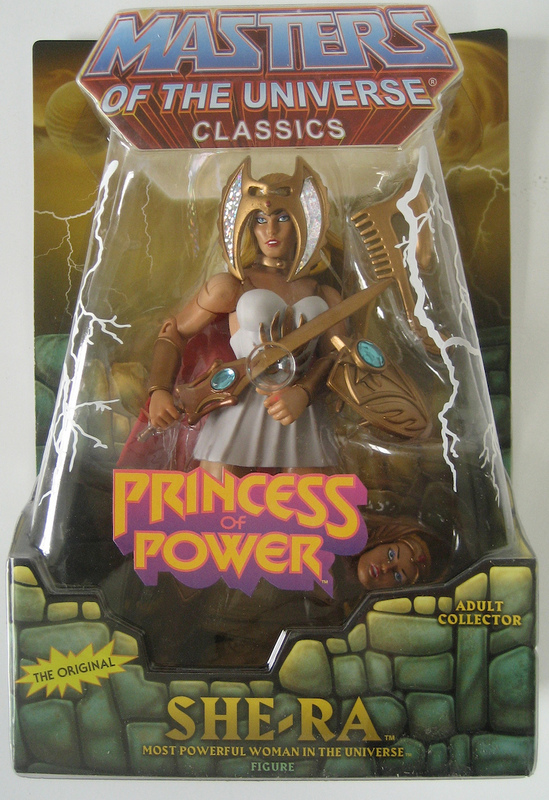 She also has the power to communicate telepathically with animals. 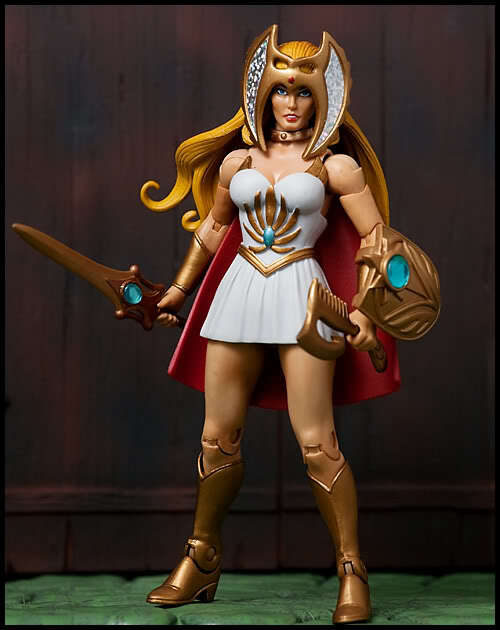 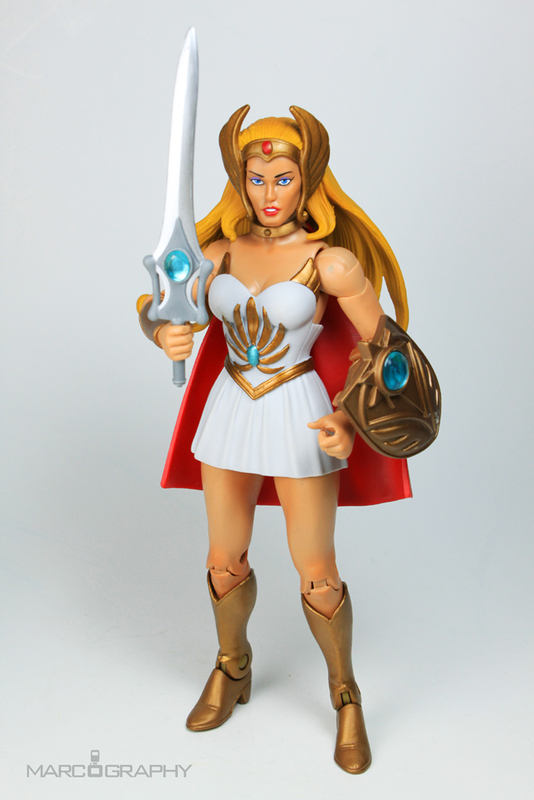 As both She-Ra and Adora, she helped lead the Great Rebellion of Etheria against the Horde invaders. 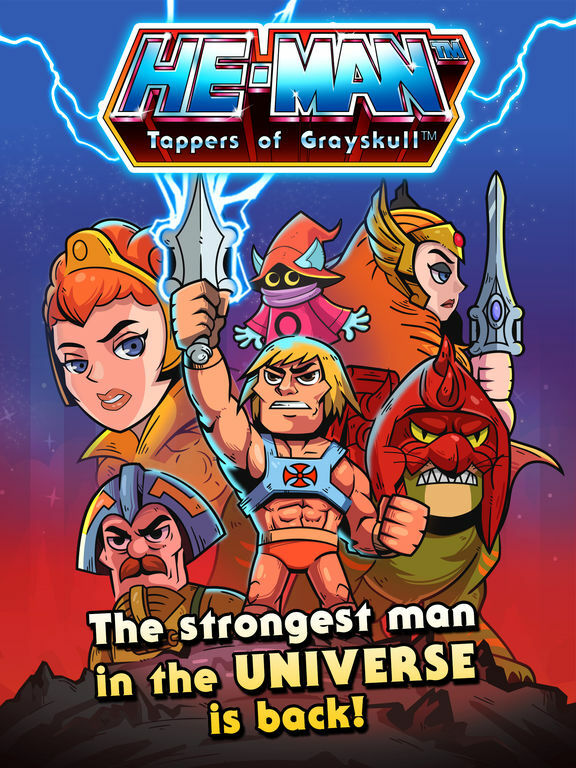 Later, when Hordak found an escape to Eternia, she followed him along with several of her friends and allies. 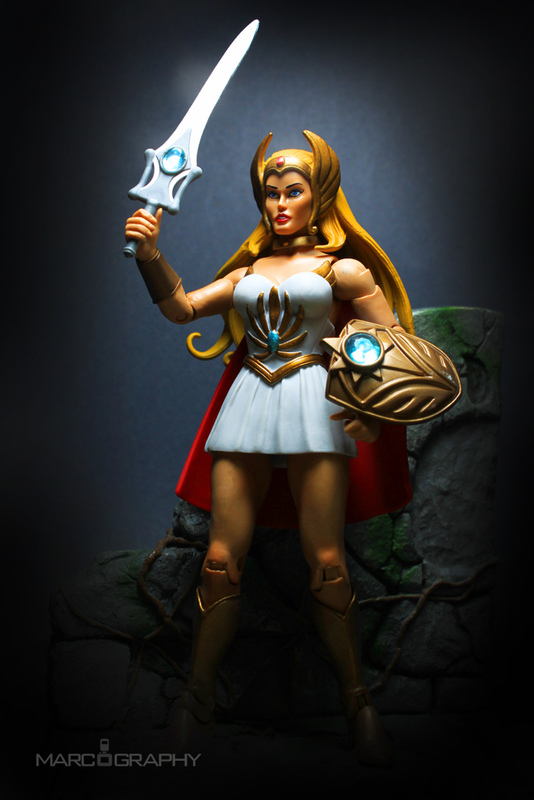 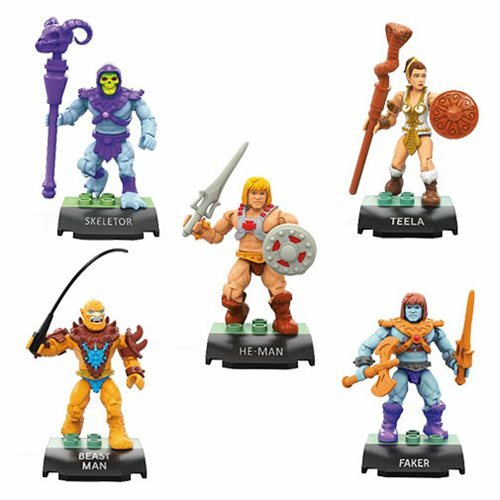 Once there, the Princess of Power joined forces with the now renegade Masters of the Universe, who without King Randor, had becomes outcasts in their own land, fighting against Hordak’s new tyranny!